Anyone here have a Tesla? Price is the same, but features are different. It was an easy choice before Tesla dropped the price on a new Model 3. Used 2016 Model S comes with free power, but it’s relatively cheap to “fill up” compared to gas. I’d rather have the Model S with the Ludicrous mode. 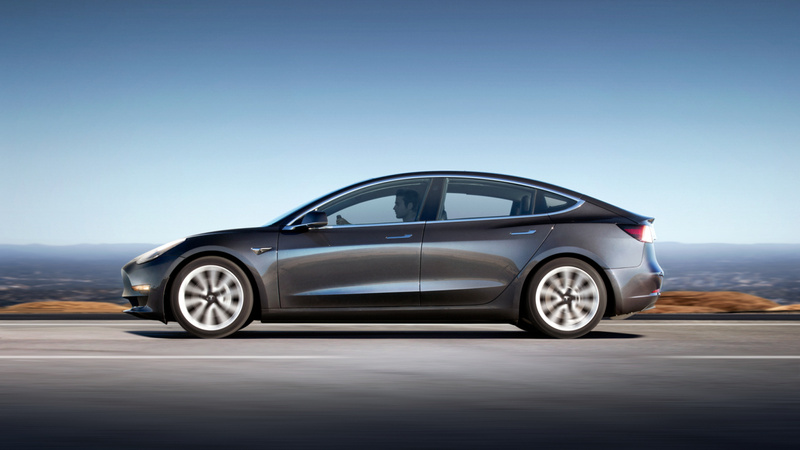 The Model 3 looks too cartoonish to me. Plus, with a 2016, the majority of depreciation is behind you. CPO Model S has free charging though, it’s not worth a lot depending on drive. This thread reminds me of one of my favorite old threads. I am still bummed that guy disappeared right when he was supposed to actually get his Tesla. I wonder what happened. Was he even real? Prices on used cars drop as they get older. 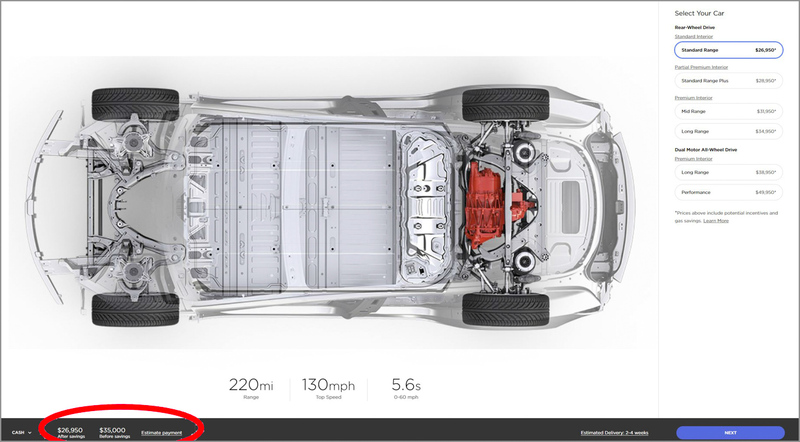 Did the price on the new model 3 actually drop, or is it that Tesla is finally building the base model that they promised several years ago? But you can’t get a model 3 for $35k, at least not currently. It’s not even clear they make money selling them at $40k. It’s not even clear they make money selling them at $40k. It is 100% clear that they are NOT making money selling them at $40k. I’m confused. The $35k model is officially gone now? I thought they just stopped internet sales of it? IIRC, he was too busy discussing the firm offers he had to take Tesla private. Then the SEC got on him about his twitter comments, so he abandoned a lot of his fake bulletin board accounts. I have a 2015 85D. Great car that is well out of warranty (117k miles now), so I’m getting the hang of fixing stuff on it myself. If the model 3 was available at the time, i probably would have gone with that. The MS is much larger of a vehicle than I need. If you aren’t very comfortable with computers and don’t like spending thousands of $ for simple repairs, I wouldn’t recommend owning one out of warranty. Example: The last repair i did (radiator replacement) involved gaining root access to the CID (which runs Linux) so that I could unlock the diagnostic port and run the coolant air purge routine. Tesla does not have good turnaround on parts orders either. 3 weeks to get a radiator from the service center. That said, I love how it drives and can’t imagine driving anything else. I would buy it again in a heartbeat. As far as supercharging being free/not free. This tends to be way overvalued in my opinion. The vast majority of charging happens at home unless you drive 200+ miles on a daily basis. If you can’t charge it at home, i don’t recommend a BEV at all. Starting every day with a 90% charge is the biggest advantage vs gasoline powered cars. I charge away from home maybe 2-3 times per year. I’m tech savvy but not handy with repairs… Agree about the warranty. So I’m only considering 4yr warranty CPO. They have great deals sometimes compared to dealers. I actually want the larger size, but I do like M3 nimbleness/ tech. I love the concept of having a Tesla, but I would be very concerned about the longevity of the company and their build quality. While I’m fascinated by the model, it’s a poorly run operation. There’s been numerous posts on the build quality of Model 3’s and S’s. product is actually very Superior tech and design. IDK. The interior never struck me as luxury. It felt more like a Hyundai’s version of luxury. It doesn’t compete with higher end luxury brands, when it claims to (BMW full leather, Audi, Cadillac, Benz, etc.). Too plasticy.